You know that feeling when you can sense that the temperature drops and the atmospheric pressure changes and you just know that a storm is coming? When you get little tingly feelings because there is more static electricity in the air? When you just know that something big is about to happen? It is the calm before the storm. A good summer thunderstorm is something to be experienced and cherished. No great surprise that these feelings of anticipation are precisely what you are probably experiencing right now as you are getting ready for faculty and students to return (although in some deeper southern states, the whole "school starts after Labor Day" thing is just a memory!). The calm before the storm - the last several days when the campus is gathering momentum and the electricity of preparation builds to its greatest pitch. Over the last couple of weeks, I was able to get away and plowed through five books (my wife is a serious reader and finished twelve). 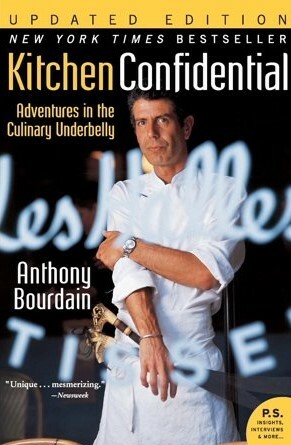 My favorite was Kitchen Confidential by Anthony Bourdain; bittersweet to read it now that he is no longer with us. It is an exquisite look at what true passion means to someone who discovered what he wanted to do with his life at an early age, enjoying his first oysters with an eccentric uncle in France. My other favorite was The End of Average, which I have now read more than once and highly recommend. It tells the story of how statistics might not always be the best driver of decision making and in the end reminds me that schools are mission driven and data informed. I had some other books with me that are not worth mentioning as they were pure escapist fiction (happy to share privately, though). 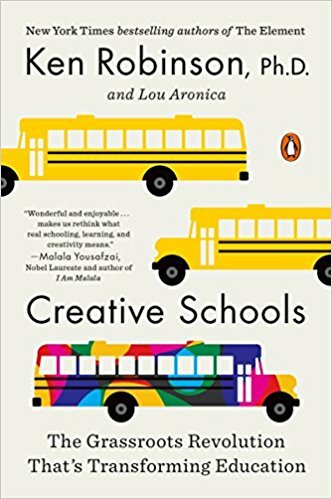 My next read is Sir Ken Robinson's Creative Schools, which I somewhow missed when it came out a couple of years ago. Most of us have read his works, heard him speak, or seen his videos. He continues to be a provocative voice leading educational change. Drop me a note with your summer reads - I am interested in how you turned your brain off and would also love to know if your entire faculty had a summer reading assignment. As you are prepping for your campus to get much more lively, take a moment to see who else is registered for for the MISBO Fall Conference by clicking here. Get yourself registered for the conference and take advantage of the incredible opportunity at the Pre-Conference workshop with Praesidium. I have been through their Certified Praesidium Guardian program and I can tell you that any time you have a chance to interact with them, it is worth your while. New this year at the conference is a gathering of first timers right before our opening reception. All are welcome and this year's event will be like no other in its focus on taking the aspirational thinking we have and looking at ways to operationalize those thoughts. When you are on the website, take a minute to look through the Fall 2018 Webinar Series and while you are there, log in and upload your picture to your member profile! It is going to be an amazing year.